Fred Bronstein – an accomplished pianist, dedicated music educator, and successful chief executive of American symphony orchestras – began his appointment as the first dean of the Peabody Institute of the Johns Hopkins University on June 1, 2014. Since his arrival at Peabody, Dean Bronstein has established Peabody’s five-year Breakthrough Plan to focus the Institute on big strategic goals and financial sustainability for the future, built around five pillars: Excellence – to make Peabody as competitive as the most renowned schools of Johns Hopkins University; Interdisciplinary Experiences – to “own” the infusion of music across other disciplines in higher education; Innovation – as the oldest conservatory in the U.S., establish Peabody as a leading institution thinking about the future of classical music; Community Connectivity – create a two-way partnership with communities that connects the Institute through collaborations and partnerships, while giving students the needed skills to be flexible and vibrant artists in the 21st century; and Diversity – excellence, changing demographics, and the evolution of the musical landscape make this central to the future of the performing arts. Under his leadership important new initiatives have been launched around these pillars, including establishing the Center for Music and Medicine which resulted in opening the Johns Hopkins Rehabilitation Network Clinic for Performing Artists at the Peabody Institute, the first of its kind on a music school campus. At the same time, a suite of performances, residencies, and partnerships which serve to connect Peabody directly with the community and provide students with experience in engaging diverse audiences is in place. New Conservatory programs have also been established in Music for New Media and a Dance BFA, enrolling their first students in September 2018. In addition, a revitalized and expanded program in jazz studies has been launched for the 2018-19 academic year. In order to engage the entire Peabody community in its new direction, Dean Bronstein appointed more than 50 faculty members as well as students, staff, and volunteers to a number of task forces focused on examining issues around curriculum and performance opportunities, faculty governance, and diversity across the Institute. Over 18 months, the Peabody Curriculum for the Future and Reimagining Ensembles at Peabody task forces worked to rejuvenate and reshape an educational experience that ensures Peabody’s training for every student meets not only the high artistic standards of the past but the unique and changing cultural environment of the future. These efforts were codified in the new Breakthrough Curriculum, launched in September 2017, which encompasses training in skills essential to the 21st-century musician and a reimagined, dynamic ensembles program which more closely mirrors the world that Peabody graduates will enter. On a parallel track, the Peabody Diversity Pathway Task Force has worked on diversity and inclusion initiatives across the Peabody Institute. As part of this effort, the Faculty Diversity Plan has helped focus on diversity at Peabody, resulting in 28 percent of new Conservatory faculty hires as underrepresented minorities for the 2017-18 and 2018-19 academic years, now comprising 12 percent of the total Conservatory faculty, up from three percent five years ago. Similarly, enrollment of underrepresented minority students for the 2018-19 academic year is 13 percent of the student body – the largest to date, and a 36 percent increase in underrepresented minority students over three years. 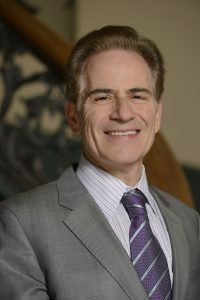 Dean Bronstein has restructured the Institute’s administration in order to align with long-term goals, restructured faculty governance resulting in the adoption of new bylaws in April 2017, revamped faculty contracts to reflect best practices and incorporate faculty evaluation for the first time, and established a $2.7 million Dean’s Fund to seed important innovations and facilitate change. Innovations include the launch of the Dean’s Incentive Grants for faculty and students designed to spur innovative work in the field, as well as the launch of the Dean’s Symposium Series that brings to campus innovative artists and cultural leaders to talk about the evolution of classical music in the 21st century and the creative approaches that are being initiated to meet those challenges and opportunities. Dean Bronstein has also committed Peabody to a bold vision for music of our time through the recording of the Peabody Symphony Orchestra’s first CD on Naxos featuring the music of Peabody faculty member and Pulitzer-Prize winning composer Kevin Puts, conducted by Marin Alsop, whom Dean Bronstein appointed as director of Peabody’s Graduate Conducting program; by the launch of Peabody’s new contemporary ensemble, Now Hear This; and through Peabody’s hosting of New Music Gathering 2016. In keeping with the focus on Excellence as one of its pillars, Dean Bronstein has made additional high profile appointments that include composer Du Yun, 2017 recipient of the Pulitzer Prize; renowned violinist Midori as Distinguished Visiting Artist; and the appointment of violinist Vadim Gluzman as Distinguished Artist in Residence. Dean Bronstein came to Peabody after serving as president of the renowned St. Louis Symphony since 2008. During his tenure in St. Louis, Bronstein led efforts to reverse steep multi-year downturns in symphony attendance resulting in a 36 percent increase in ticket revenue and a 26 percent increase in annual philanthropic support. In collaboration with the symphony’s artistic leadership, he introduced innovative concert programming, returned the orchestra to domestic and international touring after long absences, initiated new recording projects, and launched live performances on public radio. He led creation and execution of a 10-year strategic plan, sealed new collective bargaining agreements with musicians well before old contracts expired, managed expenses to reduce deficits, and restructured the symphony’s marketing, education, and community outreach. Prior to St. Louis, Bronstein served as president of the Omaha Symphony and the Dallas Symphony Orchestra where he led the search for a new and then unknown music director, Jaap van Zweden, who after less than a decade in Dallas was appointed the music director of the New York Philharmonic. The move from a major orchestra to a university and conservatory is a natural extension of Bronstein’s career-long interest in the formation of young musicians. His first arts administrative experience was as executive director of the Civic Orchestra of Chicago, the training orchestra of the Chicago Symphony, which has hundreds of alumni employed with orchestras around the world. As a performer, Bronstein toured for eight years and could be heard on New World Records as part of Aequalis, a chamber group he co-founded with a focus on new American music, innovative programming, and educational outreach. Fred Bronstein graduated from Boston University with a Bachelor of Music and earned a Master of Music degree at the Manhattan School of Music. He received his Doctor of Musical Arts degree from the State University of New York, Stony Brook. In 2005, Boston University’s College of Fine Arts presented him its Alumni Award for Distinguished Service to the Profession. He has served on the college’s Dean’s Advisory Council and on the university’s Board of Overseers. Bronstein was named by Musical America as one of thirty top “Innovators” in 2016. The latest news, updates, initiatives, and more from the dean's office of Peabody Institute.